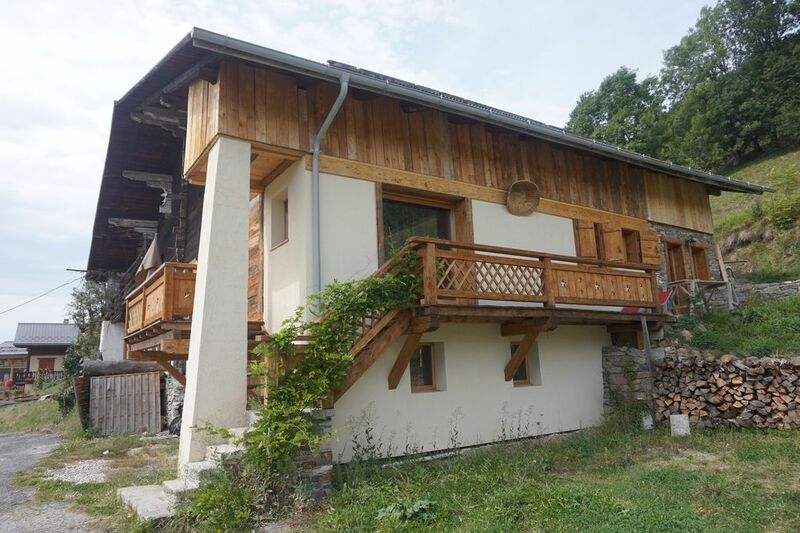 In a farm undergoing renovation, beautiful new apartment tt comfort, south facing position, facing the slopes in winter pastures in summer, magnificent views of Mont Blanc, the Aiguille du Midi the Crêt du Midi, the village from Praz-sur-Arly below and the Rochebrune massif. 5 km from Megève. A large garage for 2 vehicles and a peripheral balcony. Ideal for a large family or couples of friends.